It’s been a long winter and the ice of my breath outside is getting tiresome. Just in time to save my sanity we have some spring and warm thoughts going into the dresses and gowns at PMC. Thank heavens. I Love Spring is a breath of fresh warm air and I could not wait to put in on. 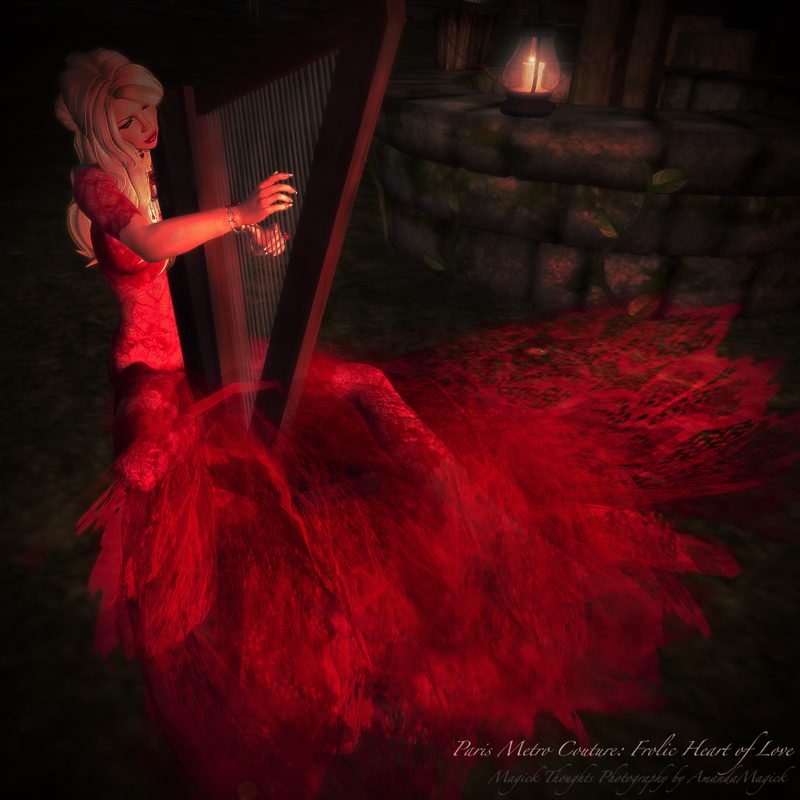 This dress spoke to me and whispered into my ear that everything will be ok.
Frolic Heart of Love warms my inner spirit with the unconditional, no strings attached sort of loving energies that billow around it when I am enjoying my SL. Calming my mind and playing the harp will always soothe my soul. In another time in the past while I sit in a sepia dream I listen to the gramophone’s sweet timeless melodies. I Love Woodblocks is a classy happy design that looks nice anywhere I go whether in the past or in the future… maybe right now. (This is not a PMC gown, it is a sale gown at MeriVale Designs that I love). New Roses Hurt sometimes. The thorns rip at you and poke in inconvenient places even your soul. The roses she was given where disguised in good gesture but the poison was too much for her. Remember that you are amazing and don’t let anyone tell you otherwise.